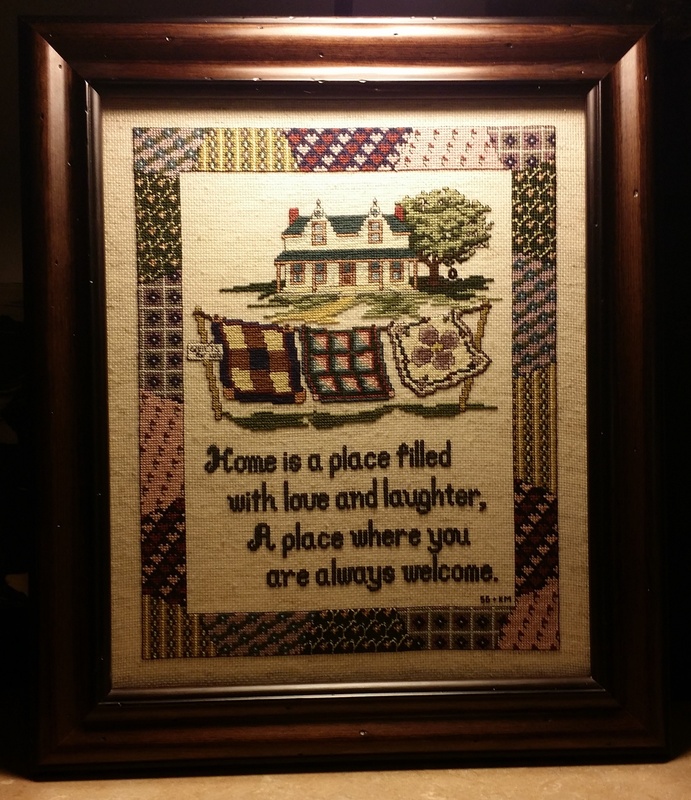 In the late 1980s, my mother, Sandra Gentry, started this cross-stitch design. In time, arthritis made stitching too painful to continue. She passed along the partially completed needlework to me. Years passed as I set aside needlework in the 2000s when my children were small. In 2014, in anticipation of Mom and Dad’s 50th wedding anniversary, I completed the piece. I love you Mom and Dad, and I want to thank you for a home of love & laughter!